Improving your game or learning for the first time. 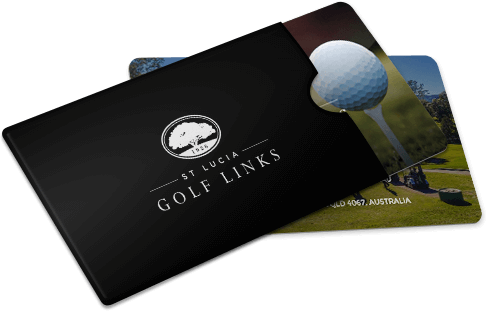 If you consider our PGA golf team’s collective experience and achievements, it’s not hard to understand why our professional coaching and golf lessons at St Lucia Golf Links are so popular. All our golf lessons and golf coaching sessions in Brisbane are taught by fully qualified PGA Golf Professionals using the best technologies on the market. In fact, our team have a proven track record of helping golfers at all levels improve their techniques. Golf is not only about playing the game, it is also about a lifestyle where you combine golf with exciting enjoyable golfing events. With our Lesson Club59, you will meet like minded golfers who immerse themselves in playing, learning, and enjoying the golfing lifestyle at St Lucia Golf Links. Together with Peter Clark and Grant Williams (Brisbane’s most experienced PGA golf professionals ), you will create a strategic game plan that will take your golf game to a extremely high enjoyable level. Theoretically, there are 7 main shots you need to learn in golf. If you know how to play these shots, you can enjoy yourself and be happy with your game every time you play. We teach you these on real greens by holding our golf lessons on the course itself. Our coaching philosophy will give you the kind of confidence, satisfaction and enjoyment that can easily translate to other aspects of your life – not just on the course. Our approach is fun, humorous and relaxed, with a professional undertone and serious commitment to increasing your skill. Our golf coaching lessons in Brisbane are packaged to provide the best experience, both on and off the course. We consider everything that would make your game enjoyable and facilitate this in our coaching sessions. And to put it simply, this is the fastest and most fun way to learn and improve. Meet our PGA golf coaches. Over the years St Lucia Golf Links has developed an enviable reputation for the quality of service and overall experience guests enjoy. Our Directors Jens Holland and Hans Pettersson who manage all three brands on-site have a hands on approach and overall dedication that has seen them attract a wonderful team of Management, golf and service professionals to ensure your experience is one to relish in. 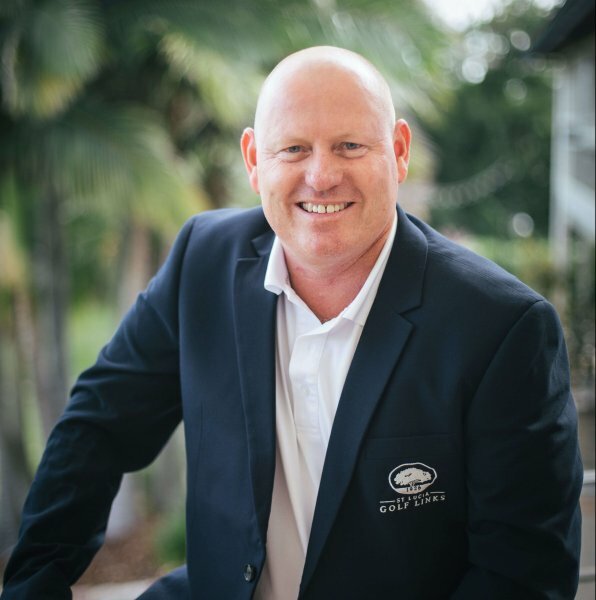 Here we introduce you to two of Brisbane’s most sought after golf coaches – our Director of Golf Peter Clark, and his right hand man Grant Williams. Our Director of Golf, Peter Clark has over 30 years experience in golf. His passion for the game and coaching players to realise their true golf potential has seen him travel all round the world including the USA, Europe and Asia. He has had great success with Australian and European tour players, and enjoys a very loyal following of clientele. One of the highlights of his career has been coaching a blind golfer for ten years who went on to win the Australian Blind Golf Championships. His coaching style is both enjoyable and extremely effective in that he can elevate and motivate golfers with minimal effort. 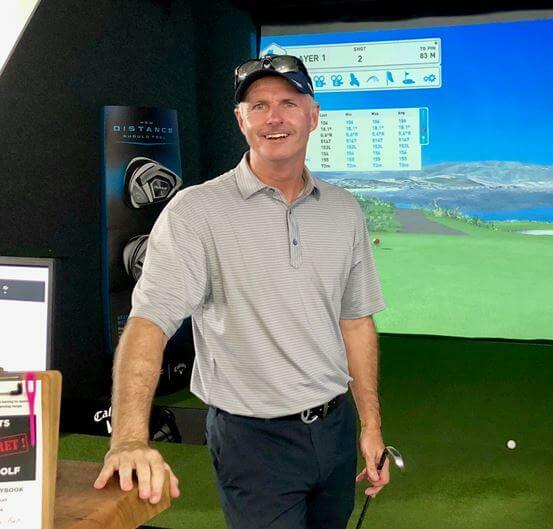 Peter has been a member of the Professional Golfers Association of Australia for over 25 years and has presented at various PGA coaching conferences around the world. Grant has been a professional golfer for more than 30 years. He is also a brilliant golf coach having taught golfers in Europe and Australia for more than 20 years. One of Grant’s best traits is his ability to teach the golf game in its simplest form and within one’s physical ability. Book a $59 golf evaluation. Real success begins with a professional evaluation of your game. When can I expect to see improvements in my golf swing and game? Immediate improvement should you follow the advice and game plan of your PGA professional. The St Lucia Links Golf Professionals are passionate and dedicated to helping each golfer reach their goals and greatest potential on the course. The difference between coaching and lessons. Golf lessons address immediate concerns, whereas coaching involves a planned program. Our golf coaching in Brisbane occurs over an ongoing period with short and long term goals. Our style and approach to coaching has evolved into a very loyal following with Peter Clark and Grant Williams at the head of our team. With Peter and Grant’s long term experience, they customise their coaching style to the individual. They do this based on personality, club equipment, short and long term goals, and your current skill. They teach you how to draw on all your senses and understand the physiological movement behind golf. We specialise in private and semi-private golf lessons in Brisbane. We don’t tend to offer group lessons, as we prefer the benefits of small, private lessons, where every person receives a dedicated amount of time and advice on their game. We use a Performance Scorecard (which reflects our 7 shot philosophy). This is a unique point of difference at St Lucia Golf Links, which we also use with our 30 minute complimentary evaluation. The scorecard highlights the strengths and weaknesses of your game and is an easy way to analyse and identify the areas you may need to focus on. Assess your game while playing on some of the best courses in the world. This is a fun and creative program customised to individuals depending on your level of skill. It’s a refreshing experience to learn a new skill among beautiful scenery. It’s also a great way to socialise, either on the course or sitting back with a free coffee (just claim your cuppa at hundred acre bar after your round). Our easy-going approach will keep you feeling comfortable and focused on your goals. We cover the 7 main golf shots and even have complimentary clubs if you don’t own any. With ladies’ golf lessons, you can gain immense confidence, satisfaction, and enjoyment from improving your game. For enquiries and bookings phone 07 3870 3433. Ladies Lets Golf – Free 60 minute introduction. Golf Queensland have a brilliant initiative in place for ladies new to golf – Ladies Lets Golf. Ladies wanting to try golf for the first time can enjoy a 60 minute introductory session to play golf including all golfing equipment, plus coaching and refreshments free of charge. With a great social aspect to meet fellow female golfers, and no cost involved to experience and try golf, this offer for ladies to play at St Lucia Golf Links is unbeatable. When: 9am-10am on select dates in April and May, including Saturdays and Sundays. For a full list of dates click here. Ladies Lets Golf – Level 1 group clinic. If you’re a novice golfer with little experience on course, take advantage of the Ladies Lets Golf Level 1 group clinic. In this clinic you’ll enjoy 4 x 60 minute sessions across 4 weeks to evolve your skills and improve your confidence. Golf swing, chipping, putting and pitching will be covered and each week will draw on the previous covering individual aspects of the game in greater detail.